Molly Fletcher, pictured with the Royals' Jeff Francoeur, represents a number of athletes, coaches and broadcasters. After several months of trying traditional tactics to try to sign utility player Mark DeRosa, then with the Atlanta Braves, sports agent Molly Fletcher decided to sweeten the deal. She invited DeRosa and his wife, Heidi, to stop by her office on the way to the field. When DeRosa arrived, he noticed M&Ms on almost every tabletop -- bowlfuls of the chocolate candy every 20 feet or so. Fletcher had learned of DeRosa's love of the candy through a media contact and decided she might be able to move negotiations along by appealing to his sweet tooth. Fletcher's simple, informed courtship tactic worked, and DeRosa became one of hundreds of clients she represented while working at Atlanta-based sports and entertainment company CSE. Her success as an agent for athletes such as John Smoltz, Joe Theismann, Matt Kuchar and Doc Rivers prompted CNN to dub her "the female Jerry Maguire." In December 2010, she followed Maguire's lead and broke off to create her own company (minus the meltdown, the goldfish and the secretary). As president and CEO of MWF Holdings, Fletcher continues to represent a number of athletes, coaches and broadcasters; works as a speaker and consultant; has authored two books; and this spring she launched Fletcher Digital. Fletcher Digital is designed to help athletes maximize endorsement deals, capitalize on social media and prepare for what comes after professional sports. During her 15 years at CSE, Fletcher saw lots of careers end and worried about the athletes who weren't adequately prepared for life after the game. "They say an athlete dies twice," Fletcher said. "They die when they finish competing and then they die when they die. They go from being 'the man' to people not taking their call as quickly, people not responding to them. They have not used the community they created in an effective way." On a recent morning, Fletcher went out to purchase a new car. While making small talk with the salesman, she discovered he was a former NFL player who spent five years in the league, winning two Super Bowls with the Steelers. Molly Fletcher creates a website for each athlete that aggregates the action on a variety of social media platforms into an ongoing conversation. "No disrespect to people that sell cars," Fletcher said. "But here's this guy, Arnold Harrison, that has an unbelievably unique background and a story to tell." She sees missed opportunities not only in everyday life, but when following the careers of her clients, particularly golfers. "Imagine a PGA Tour player going and playing in a pro-am on Wednesday," she said. "Most of them finish with their four 'new best friends,' have a Coke and walk back out to the range and practice. They forget about the fact that they just played golf with the executive vice president and CEO of incredible Fortune 500 companies. What if you sent a tweet out about what a great guy the CEO of xyz company was? What if you utilize that relationship and that platform in a way that allowed it to extend beyond that four-hour experience?" 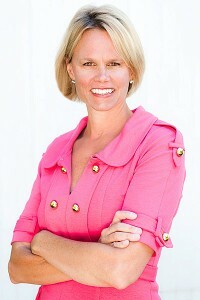 She hopes Fletcher Digital will help players and their agents embrace and capitalize on the changing sports landscape. The company combines Fletcher's understanding of sports endorsements and contracts with the technology of Lithium, a social media-monitoring and brand-engagement company, and the knowledge of a team of web and legal experts who know social media rules and regulations for players and coaches. The final product is a personal website that aggregates the action on a wide variety of social media platforms, weaving it into an ongoing conversation, allowing for carefully gathered data and insight into the people talking about -- and directly to -- the athlete. "It's a social platform that ... pulls people communicating about the player to one place," Fletcher said. "When you've got a million followers on Twitter, that's great, but how are you utilizing those followers to monetize and maximize that connectivity? [On their websites] athletes have a captive audience that they can utilize to benefit themselves, their charities, the community they play in or where they grew up." Football analyst and former Denver Broncos GM Ted Sundquist is already seeing the results of this kind of unified digital platform. "My blogs feed my websites, which help create videos for my YouTube channel, which are promoted via Twitter and then later posted on Facebook and LinkedIn," he explained. "Everything has its place and purpose ... allowing me to reach out and interact with even more fans." No matter the client, Fletcher said every athlete and coach thinks they're not getting enough deals off the field of play. The analytics gathered on a client's website can show potential advertisers, by the numbers, how engaging he or she is to fans and what kinds of content works best to create and continue conversation. While some agents and PR reps worry that their clients might get in trouble because of something they tweet or post on Facebook, Fletcher embraces the idea that good guys finish first in the world of social media. "[Social media] is an opportunity to really be transparent with your fans," Fletcher said. "I believe that really good people, really authentic people will rise to the top." It's always been important to Fletcher to work with people she believes in. She rarely lets a client call go to voicemail. She cares about them and their needs, so she never dreads having to pick up the phone. That kind of dedication is impressive, considering Fletcher also has to manage the needs of her husband and three kids. In an industry dominated by aggressive men, Fletcher's maternal approach to representing and working with players has served her well. "At the end of the day these athletes are people," Fletcher said. "They're human beings that have feelings, emotions, families, needs, wants. I have always connected with athletes in an authentic way and I think that all these guys -- from Ernie Johnson to Doc Rivers to Tom Izzo -- they'd say she was real, she told me the truth and she cared." A mother's job is never done, so it's fitting that Fletcher has found a way to continue taking care of her clients after the final buzzer or the last tee.